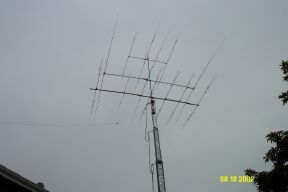 This is a US Towers Heavy Duty 89' with a 25' pole on the top - Up and down is controlled in the shack. The antennas from the top down is a 3 el Cushcraft A3 with 30 mtr add on at 110', next is a Force 12 -3.5mhz rotatable dipole, Force 12 -3 el Yagi for 7mhz and at the bottom at 90' is a KLM KT34xxa with 5el on 14/21 mhz and 6 el on 28mhz with sloppers for 160 mtrs. The rotor is a M2 RC2800P-A the Orion. On the left is a Yaesu FT1000D and a Alpha 87a amplifier. I'm using the MFJ-989c tuner with it. 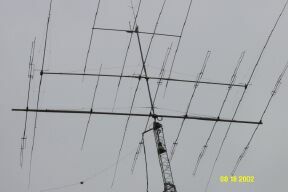 This station is setup on 10,15 and 20 meters. Everything is computer controlled using a 2ghz system with LOGic 6 logging software and TRX-Manager for everyday operations, and N1MM logger software for contesting. A rigblaster is used with the 1000D for digital modes. On the right is a Ten-Tec OMNI 6+.Ten-Tec Titan 425 amp, Antenna coupler all rack mounted. 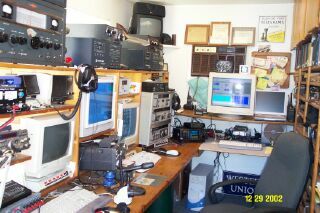 I use this station on the WARC bands. 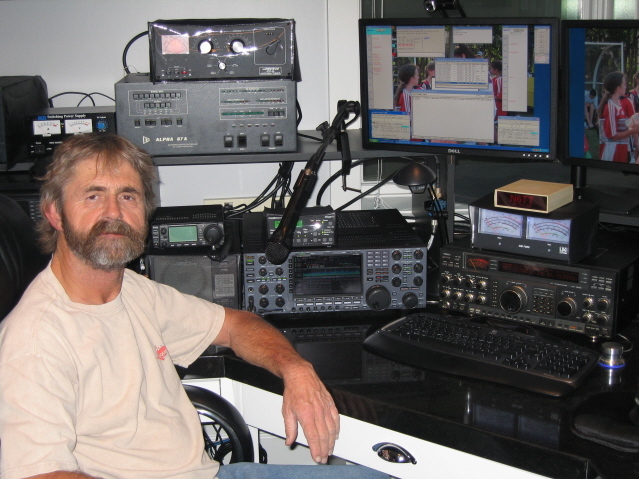 Recently I traded for a Icom 756 Pro which I now run on 40 mtrs with my 3 element yagi at 100' , I'm running a second Alpa 87a and Ameritron ATR30 tuner. Everything is controlled with a "New" 3ghz,1gig ram,200mb HD and a pair of monitors. I'm using the same software on this system to control the station. I have two WBL paddles which I use for everyday operations. One on the Pro station and the other shares duties with the 1000D and Omni 6+. 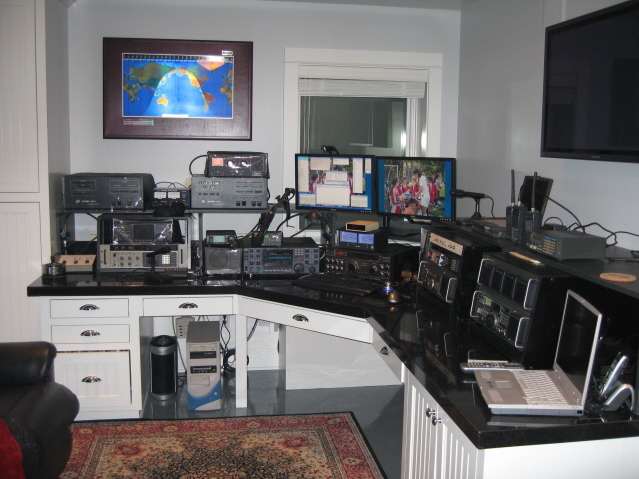 This coming year Id like to play around with remote of a HF station. I think setting up a camera in the shack would be fun. There is so much to do within our hobby. *02-01-2003 Congrats to Westley Chen a neighbor lad of 14 years who passed his Extra last week. 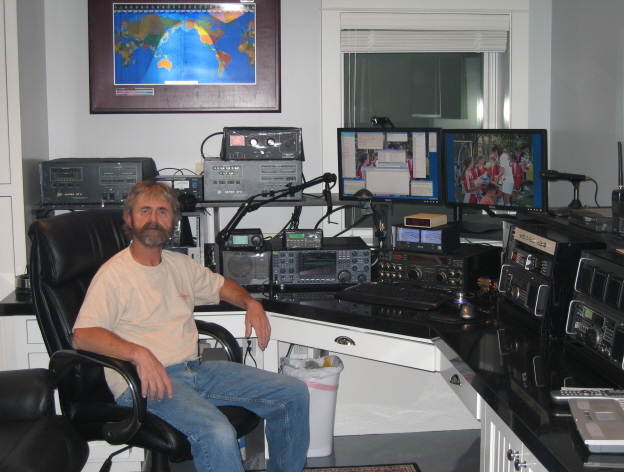 Westley WA6CKO his friend David (another new ham) and I installed his G5RV and Icom 706MKIIG, His first contact was on 20 mtr SSB with a station in Washington. 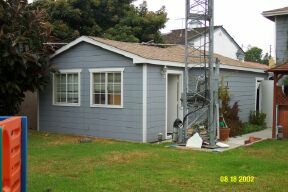 His father wouldnt let us utilize the roof so we had to string the antenna along the fence in between towering two story houses operating from a second story station using a poor ground system. It was great to see the look on the boys faces during the first Qso, Lets hope more young lads like Westley get envolved with HF operations. I guess its too much to hope he would enjoy CW as Morse isnt used other then the special forces and Hams . The code mode (CW) bit me at a young age of 11 yrs and I havnt been able to shake it yet. 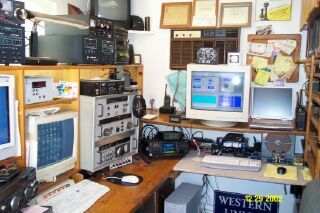 I enjoyed SSB for afew years but CW is my true love, it relaxes me to have a nice Qso or run a few JA or EU stations. 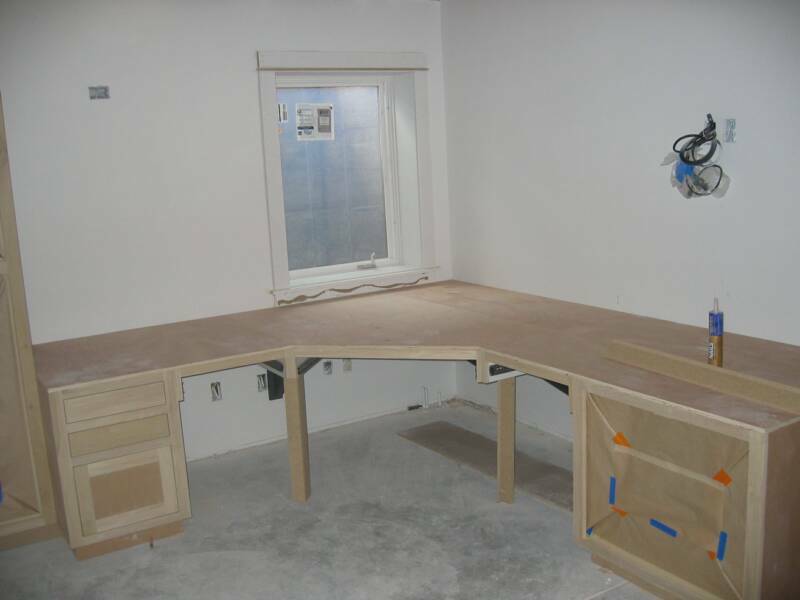 Well I finally got the new station finished in January of 2008. 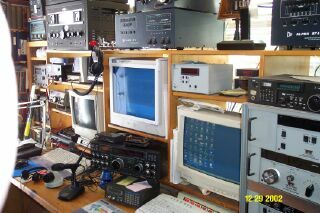 The main station is now a Icom IC-7800 and 2 Alpha 87a's. One rig I leave on 40 CW and the other on 10,15,20 CW. 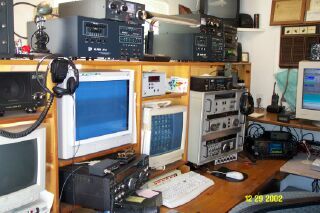 I use the old FT-1000D on the WARC bands. I use a new Palstar AT-AUTO kw tuner and a ATR-30. 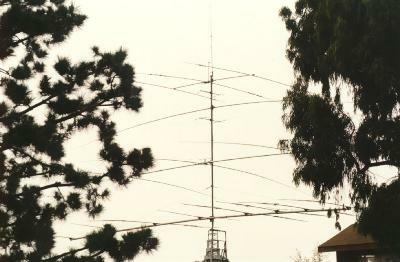 The antenna system now consists of a US Towers HD89MP motorized which I can control from the shack with a CX-333 on the top of the tower at 111' then the Cushcraft 3 element beam with a 30 meter add on at 110' then the M2 beam on 7 MHz which is 3 elements at 100' and finally a new 4 element Steppir beam at 90'. I put two Cushcraft 144/440 Mhz beams at 95' and 105' that I run through ICE splitters for the scanners and Icom receivers. Still using the M2 RC-3800P-A rotor which has been up since 1997. The computers are 2 desktops with two 22" widescreen monitors. I just purshased two more 22" Dell monitors and I will make it into a quad arrangment with four monitors, two stacked on top of the two you see in the picture. 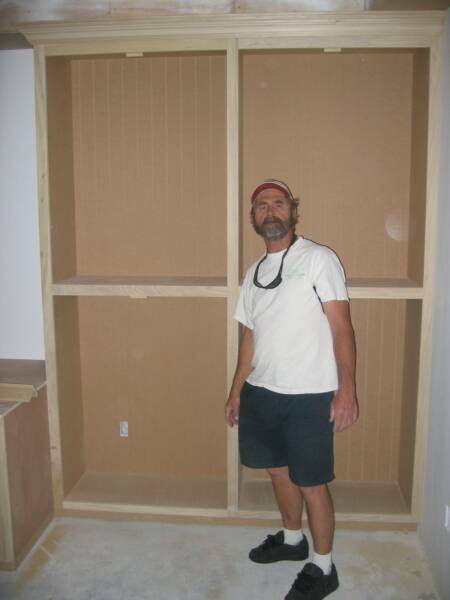 I hope to post more pictures when Im finished. 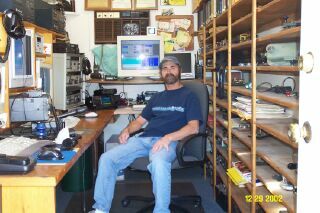 Im using Ham radio deluxe for general logging software and N1MM Logger for contests. 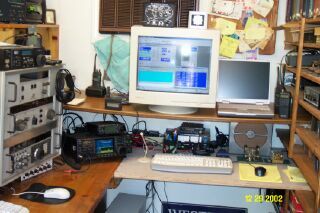 I also use TRX-Manager and Arc-780 to control the scanners and rx. 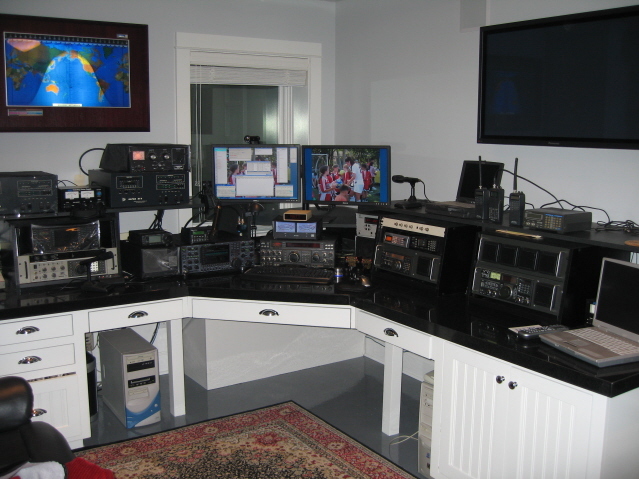 I use a RadioShack Pro-2096,Pro-2005, Pro-95,Pro-51,Uniden BC-780XLT, Icom IC-7000,Icom IC-7100. I use the V22 non iambic paddles by Stan W9WBL. 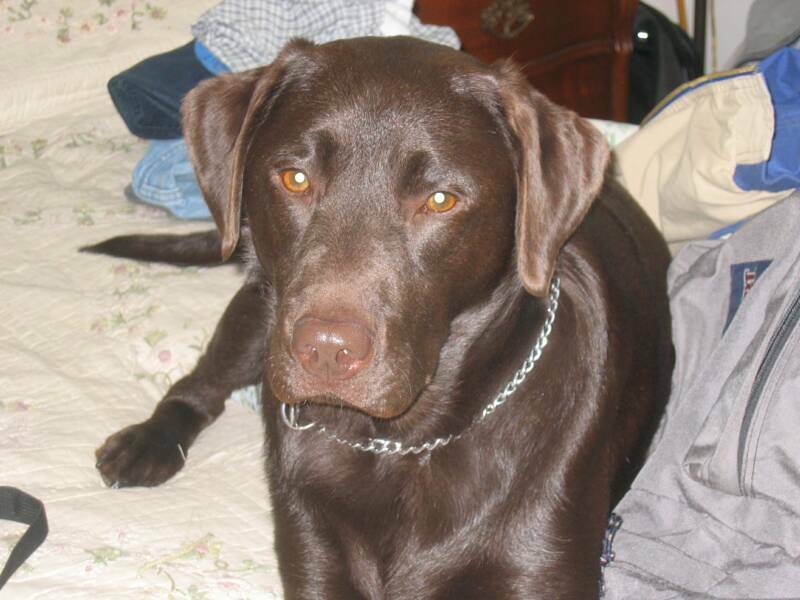 This is Sadee my lab dog who is 1 1/2 years in this picture. She can usually be found under my feet while I work CW. She is my champion Frisbee catcher. 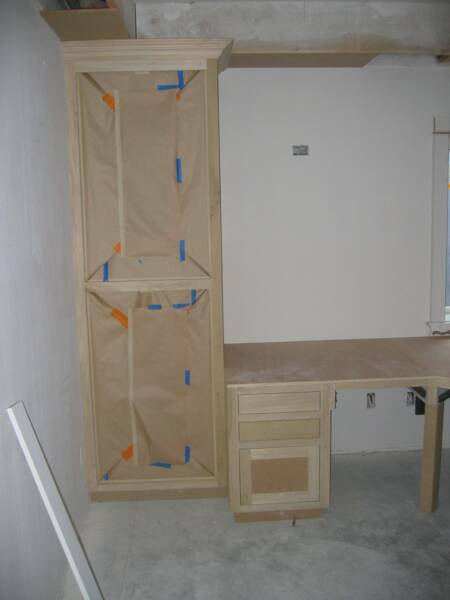 Here are a few more pictures of the new shack as it was being built in 2007. This is a case where I display my old CW keys and telegraph pieces.I will post a picture of it finished with the keys in it soon.